In the morning, tomorrow morning, I will be forty. It seems a time of reckoning, of all the things I expected and all the other ones that happened instead. When I turned thirty I threw a great big party at a country house and invited all my friends. We swam in a pond and drank too much wine and made a big potluck dinner on the terrace. I wore a princess crown for the whole day. Earlier that week I’d handed in my PhD thesis and started a party that lasted for days and days, ending in that potluck. The previous month I’d proposed to my boyfriend and he’d accepted. I had a job waiting for me in Oxford. 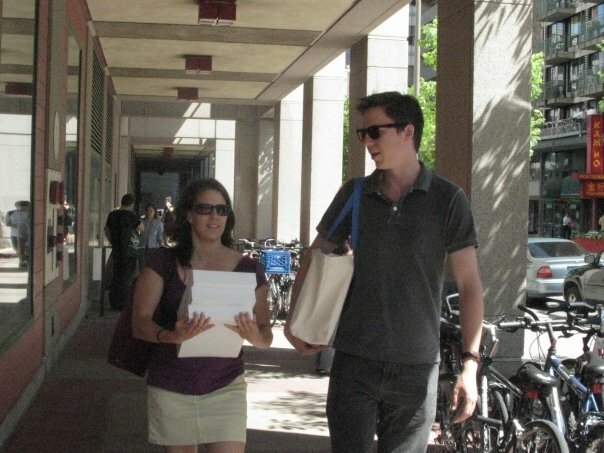 Here’s me submitting the PhD with my brother – I’m relieved, but also anxious about everything to come. During that 30th birthday week I listed in my mind a few things that I was *sure* I’d do before I was 40. Write a book. Have a baby. Get a ‘proper job’. Get married and live happily ever after. But what I didn’t have any sense of at that time, was not WHAT I wanted to do, but HOW I wanted to do it – how I wanted to live. In the intervening decade, I did many things. I moved across the world. I learned to row. I planted gardens in three different houses and once dug a pond. I worked very hard at being a ‘good academic’ – publishing, going to conferences, meeting people and impressing them, devising and writing grants that got rejected over and over (and sometimes not), pushing through the internal politics that shape a department, a university, a neoliberal concept of education. I did have the baby, who is six years old and indomitable. I did get married, although now I am in the process of getting divorced. I still haven’t finished writing a book. This time around, I have no plans for what I want to do, but I have many thoughts about how I want to be. 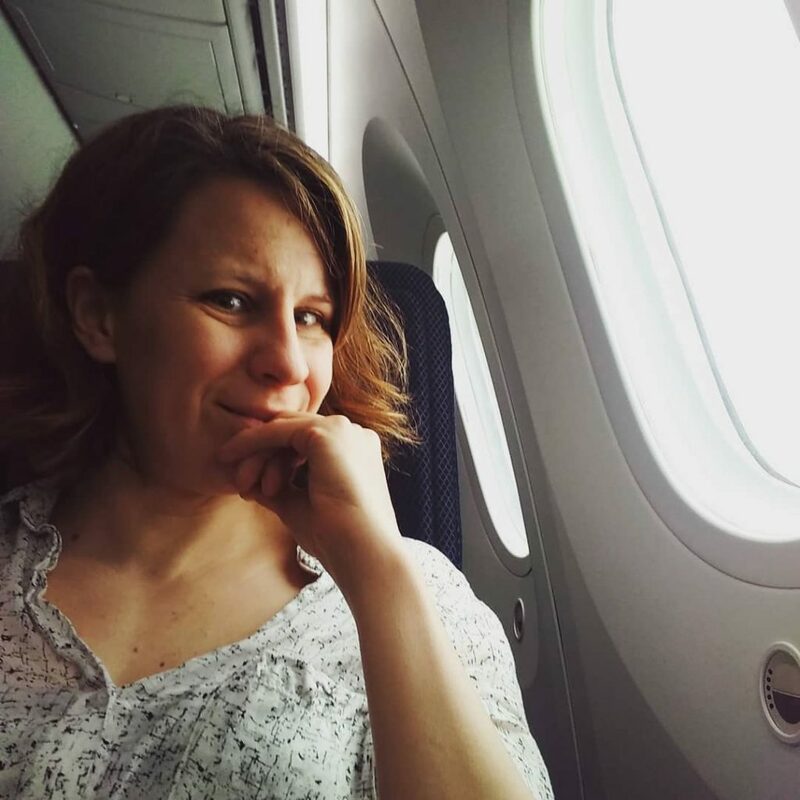 In the past several months, as my marriage has dissolved and I find myself in the miasma of emotions accompanying divorce (jealousy, shame, fear, anger, hurt, incredulity, and sometimes even hope), I have been struck by the feeling that I’m finally forced to think about how I want my life to feel.Here’s me on a plane. I took this myself, and I love how you can see so many emotions, but also something fresh and exciting in my eyes. This week, I made a jellyfish costume for my daughter and we went to her friend’s birthday party. I met some local women for a drink one evening, and sat in the pub on another evening with the mothers of kids in my daughter’s class. I spent Sunday afternoon with the people who are part of one of my research teams. We drank pisco sours and ate ceviche and I watched birds while we talked about Pokemon and ethics. Later in the week we all met again to sort out our fieldwork on Internet of Things developers and their ethics-in-practice, and write a bit of one of the papers we are drafting together. I also had a meeting with the design consultancy who work with me on the Understanding Automated Decisions project, with some amazing LSE research staff. We dug into some complicated questions about how to explain automated decisions to different groups, in different contexts. We heard that our proposal to exhibit work explaining how algorithms and machine learning make decisions will be shown at the LSE Atrium Gallery in October. I finished writing a chapter on how the economics of data change the way our everyday life is mediated, and an article on the moral justifications that technology developers use to make ‘what works’ into ‘what is good.’ I also got so sick with a cold that I had to spend a day in bed. It’s a full life, in other words. But what surprises me about it – and what allows me to think about the next decade with hope – is that its richness comes from the encounters with others, whether at the pub or around a meeting table. In the last ten years I often felt lonely, as I railed against the devastating and seemingly intractable problems of climate change, unethical technology, decayed democracy and violence against migrants. Of course, alone these are intractable. And anyway my ideas about them are as bad as anyone’s. But when I start to listen to others, and to make space for those ideas, something else begins to emerge. And making that space, and making these connections, is part of how I am hoping I’ll live in the next ten years. 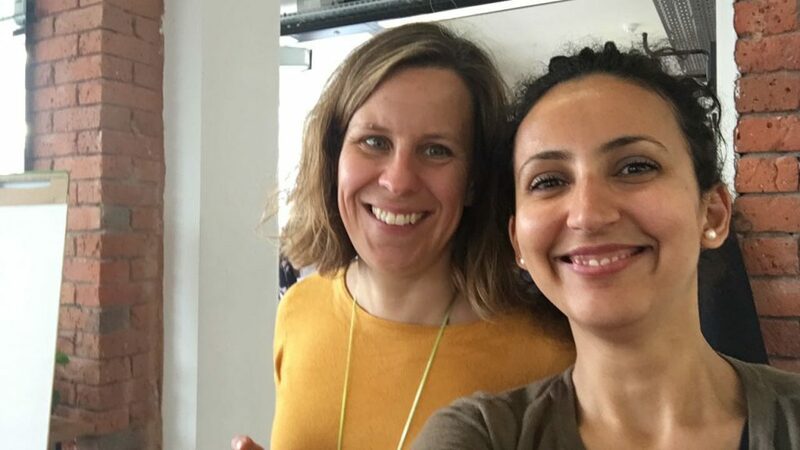 Here’s me and the lovely Funda Ustek-Spilda, one of the many talented people I get to work with. The reading I’m doing now that most sustains me comes from Hannah Arendt and Erich Fromm. Both of these thinkers lived through the rise of Nazi Germany, the ensuing world war, and the subsequent conservative turn in American politics. Both have important lessons for how we might want to live now. Arendt urges us to make space for political life, to develop our capacities to act and not to find ourselves hindered by thinking of politics in too narrow a way. 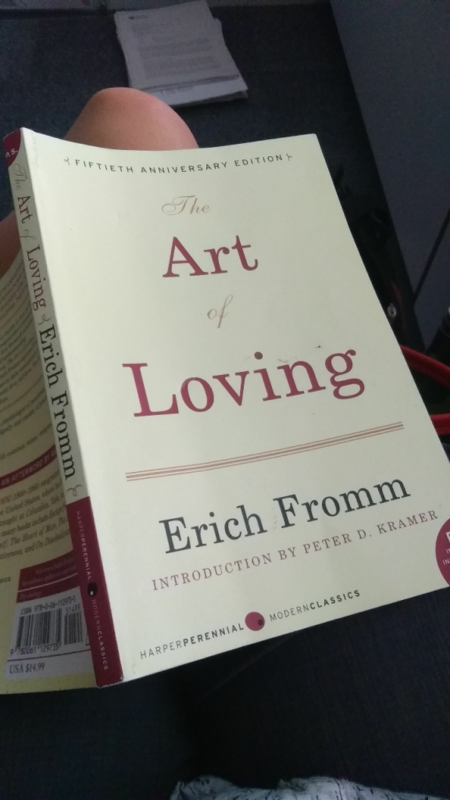 Fromm, in his work on love, argues that the capacity to love requires a capacity to be with oneself, and to resist the notion that connections with others are undertaken on the basis of ‘fair’ (or capitalist) exchange. He argues that our experiences of the world are shaped by the economic and political conditions that we live under, and in order to change these we need to find our own internal capacity to generate and give love – not merely romantically but as parents, friends, and members of a community. Sometime in the next twelve months I’ll have to move to a new home, submit my book manuscript, and go up for promotion at work. As “whats” they loom, and I am tempted to prepare to master them, to scale peaks and to check off items on a list. As “hows”, though, I think about what opportunities these challenging things provide for me to make space for others, for me to learn, and for all of us to develop the capacity to act. I think this decade is going to be amazing. And I have no idea what it will bring. This entry was posted in Uncategorized on July 19, 2018 by Alison.